A show like no other - a 90 minute epic storytelling journey sheds light on 2,000 years of history in spectacular fashion. 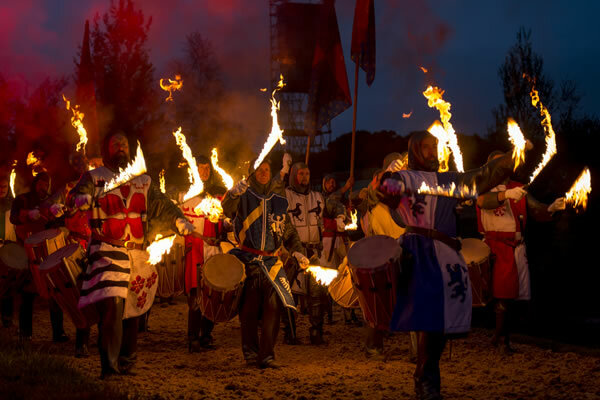 In the summer of 2016, Bishop Auckland in the Vale of Durham burst into life as Eleven Arches presented the first season of ‘Kynren – an epic tale of England’ – its eagerly awaited £31 million open-air live action night show. 14 action-packed and movie-like performances of colossal and dazzling proportions wowed audiences across the summer. Presented by 1000 cast and crew, Kynren takes audiences on a 90 minute epic storytelling journey through 2000 years. 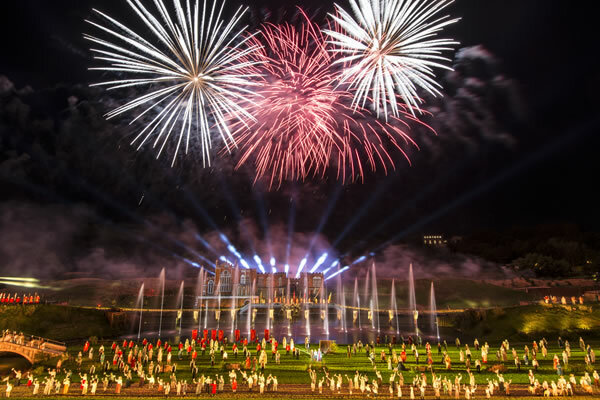 Performed on a 7½ acre stage incorporating a full size lake, with pyrotechnics, stunning lighting and water effects all part of the mix, it is a spectacle in the true sense of the word!